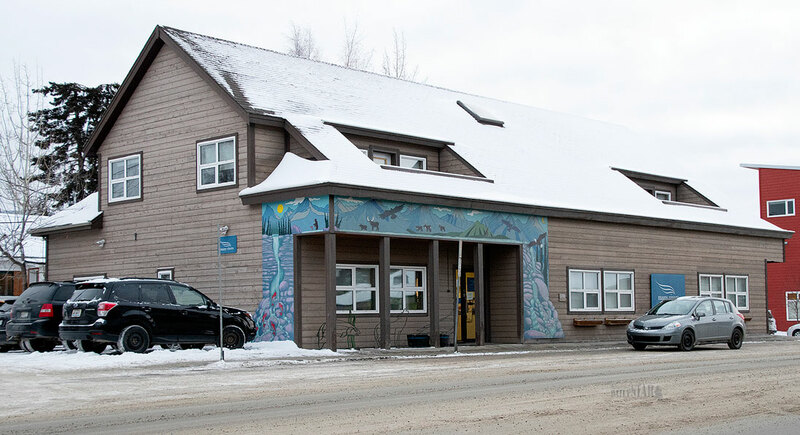 GROUP SEEKS TO FILL GAP – Many Rivers Counselling and Support Services, whose building is seen above, laid off its staff earlier this year and stopped offering services after it lost its Yukon government funding. The Community Counselling and Support Services Society (CCSS) has delivered a proposal to the Yukon government that would restore counselling services throughout the territory. The proposal was delivered last Friday, the society said Monday. That followed direction from the society’s founding meeting on March 25. The group was established in the last month, an offshoot of the informal group Friends of Many Rivers, to fill the gap left by Many Rivers Counselling and Support Services’ withdrawal of its services. “The proposal is a product of a considerable amount of community input, aided by a number of professionals who donated their services,” the CCSS said in a statement. The group is a registered society in good standing with the government, and has a significant amount of community support. “The goal of CCSS is to do all it can to open doors to clients who need counselling as soon as possible, throughout the Yukon,” the society said. Services were interrupted by a strike at Many Rivers that began in November 2018, following almost two years of that organization’s negotiations with the Yukon Employees’ Union, which represented its workers. Following a settlement in February, Many Rivers employees were recalled and started seeing clients. Then layoff notices were issued, ending services delivery. Many Rivers is not compliant with the Societies Act and there is no contract in place between YG and any organization to restore full services, the CCSS pointed out. “CCSS is aware that some temporary measures have been put in place and is grateful that some action has been taken,” it said. YG funding for Many Rivers – formerly the Yukon Family Services Association – expired March 31. “The matter is urgent. This is a crisis,” said CCSS president Max Fraser. “The community has rallied and done its bit to provide a viable solution to this tragic situation. A solution is at hand. Service quality standards would decline only if YG allowed them to. Government does not abandon its responsibilities just because a contractor is performing certain tasks to identified standards of conduct, government is responsible to confirm these standards and ensure all other terms of the contract are met as determined between the parties. I am also of the opinion that having an NGO deliver these services is not the appropriate form of conducting business for something in the order of $2 million annually. What value is there for the public for these services to be delivered by an NGO? I think contracting out Mental Health services is actually a really good way to have a reduction in service quality, a reduction in both staff compensation and support, and to invite abuses behind opaque processes. YTG should be looking hard at their precious new act regarding Societies, and build a framework to gain access to an errant society, but not otherwise have to incorporate it under the umbrella of government services. Grouch! That could lower the standards, the cheapest is not always the best. We need a comprehensive report on the state of therapy in Yukon, and what other options can be implemented. The public need an education on what therapy from a broad psychological spectrum really means. Next we need a report that presents the truth about spending on Alcohol/healing /reconciliation/Peace Maker training programs that put $100,000 in a few peoples pockets with zero results. I think the forgotten people in this fiasco are the admin staff, whom I believe have also been let go. And when a workplace is unionized, everyone has to join and take part, regardless. The strike was all about the counsellors' grievances and agenda; their discontent; their demands; their self-serving interests; their needs. And the admin staff, who make far less money than the counsellors, have far less prestige and attention, are left to fall through the cracks. With more than one organization now available to provide these services, perhaps it's time to put the work out on a contract basis and request competitive bids from the providers like any other service the government requires?